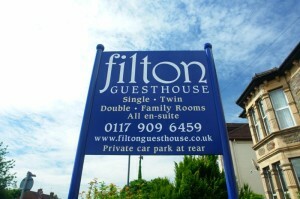 The term “Filton Guest House” or “us” or “we” refers to the owner of the website whose are based at 87 Gloucester Rd North, Filton, Bristol, BS34 7PT. The term “you” refers to the user or viewer of our website. You may not create a link to this website from another website or document without Filton Guest House’s prior written consent. 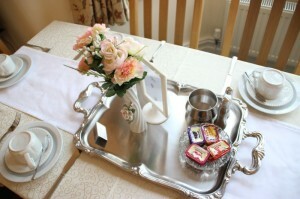 This website and its content is copyright of “Filton Guest House” © Filton Guest House. All rights reserved. Many images used on this site are covered by the creative commons license. See the (cc) links below individual images for copyright and ownership information. “Filton Guest House” is committed to ensuring that your privacy is protected. Should we ask you to provide certain information by which you can be identified when using this website, then you can be assured that it will only be used in accordance with this privacy statement. “Filton Guest House” may change this policy from time to time by updating this page. You should check this page from time to time to ensure that you are happy with any changes. This policy is effective from 1 July 2006. We will not sell, distribute or lease your personal information to third parties unless we have your permission or are required by law. We may use your personal information to send you promotional information about third parties which we think you may find interesting if you tell us that you wish this to happen. You may request details of personal information which we hold about you under the Data Protection Act 1998. A small fee will be payable. If you would like a copy of the information held on you please write to 87 Gloucester Rd North, Filton, Bristol, BS34 7PT. If you believe that any information we are holding on you is incorrect or incomplete, please write to or email us as soon as possible, at the above address. We will promptly correct any information found to be incorrect.